The report, “Financing development in Myanmar: The case of Shwe Taung Cement” by Inclusive Development International, Bank Information Center Europe and Centre for Research on Multinational Corporations (SOMO), examines the case of the Shwe Taung Cement plant in Myanmar, which will soon commence a massive expansion. The expansion of the project is financed in part by the World Bank’s International Finance Corporation and the Asian Infrastructure Investment Bank (AIIB), via an intermediary fund called the IFC Emerging Asia Fund (EAF). The EAF was examined in more detail in a previous report Moving Beyond Rhetoric. The project has raised concerns regarding its links to fossil fuels, as well as potential impacts on biodiversity. The kilns at the Shwe Taung cement plant are coal fired, and the expansion of the plant will result in a quadrupling of greenhouse gas emissions, and will require more than doubling the size of the coal mine that supplies the project. In addition, community members reported a lack of inclusive consultation, unclear and ineffective procedures for addressing project-related grievances, inconsistency in the payment of compensation for land loss, and precarious conditions for informal laborers. The project represents yet another example of the risks associated with financial intermediary lending, and the way in which funds from international finance institutions can find their way to controversial projects that sidestep environmental and social oversight by the bank. The report is available in English and Myanmar languages. The report, “Moving Beyond Rhetoric,” by Inclusive Development International and Bank Information Center Europe, warns of the implications of the Asian Infrastructure Investment Bank (AIIB) funding coal projects through financial intermediary investments. In September 2017, the AIIB approved a $150m investment in the IFC’s Emerging Asia Fund (EAF), despite the fact that at the time the EAF was considering investing $20m in the controversial expansion of the Shwe Taung cement plant in Myanmar. The kilns at the plant are coal-fired, and the expansion will require more than doubling the size of the coal mine that supplies the project. The AIIB also has a stake via the EAF in the Singaporean company Summit Power International, which operates 13 power plants in Bangladesh, all of which run on fossil fuels such as heavy fuel oil and liquefied natural gas. The AIIB’s involvement in Shwe Taung and Summit via a ‘financial intermediary’ – in this case, the Emerging Asia Fund – uses a highly risky model in which money can be funneled into controversial projects in a way that sidesteps environmental and social oversight by the bank. The report signals that the bank’s back-door investment in the Myanmar cement plant is a worrying sign that the AIIB will not stick to its green commitments as it prepares to invest $100 billion in new infrastructure projects in Asia and beyond. International investors have in recent years poured billions of dollars into coal-fired power plants in the Philippines, one of the world’s most vulnerable countries to climate change. The report, “Broken Promises: The World Bank, International Investors and the Fight for Climate Justice in the Philippines,” details how the World Bank Group’s International Finance Corporation, commercial banks and asset managers have quietly bankrolled a coal boom on the island nation despite many of them pledging to end or cut their funding for fossil fuels — and local market conditions that favor clean energy. The boom in new carbon-polluting coal plants in the Philippines threatens to derail international efforts to limit global temperature rise to below 1.5°C above pre-industrial levels, which scientists believe is necessary to stave off the most catastrophic impacts of climate change. In addition to making the Philippines even more vulnerable to climate change, coal projects have caused forced displacement and dangerous air and water pollution, among other impacts. Environmental defenders opposing the projects have been threatened, harassed and even murdered, according to the report. The report illustrates a key loophole in the World Bank’s Energy Policy from 2013, which forbids investments in coal projects, except in rare circumstances. The bank has not applied the policy to its investments in financial institutions, which now make up more than half of the IFC’s business. Some of the biggest players in global finance are quietly backing the proposed Rampal plant in southern Bangladesh despite persistent warnings that it will damage the world’s largest mangrove forest, intensify climate change and imperil the lives of 2 million people. The report, “Time to Come Clean: How International Investors Can Stop the World’s Most Dangerous Coal Plant,” exposes previously hidden backers of Rampal, including the World Bank’s private-sector arm, the International Finance Corporation (IFC); leading U.S. asset managers BlackRock and Vanguard; pension funds including the U.S. fund for teachers, TIAA; and Japanese commercial banks. The Asian Development Bank has proposed a $700 million loan to build transmission lines in southwestern Bangladesh that will carry the electricity from the plant. All have social and environmental guidelines, or have made public statements about sustainable investment, that should preclude them from enabling a project like Rampal. The report calls on these investors to use their leverage to halt the project. It urges the IFC, a substantial indirect backer of the project through its investments in Indian banks, to take a lead in coordinating a pushback among investors. This report by Friends of the Earth, ActionAid USA, the Brazilian Rede Social de Justiça e Direitos Humanos (Network for Social Justice and Human Rights), and Inclusive Development International reveals how Teachers Insurance and Annuity Association (TIAA), one of the largest pension funds in the United States, is leading a trend of speculating in land markets, which drives up farmland prices and displaces family farmers. The report exposes TIAA’s direct and indirect holdings in large Indonesian, Malaysian, and Singaporean palm oil companies known for ravaging tropical forests, abusing workers and indigenous peoples, and driving species to the brink of extinction. The report also reveals that TIAA holds several hundred millions dollars in mining and energy companies involved in forced displacement of communities and other human rights violations. The report calls on TIAA to take its funds out of land grabbing and deforestation and commit to respecting human rights by taking a comprehensive approach to its holdings in land and agro-commodities by: disclosing exposure to deforestation and land risks in farmland, palm oil, soy, and other soft commodity sectors; committing to a comprehensive deforestation and land-grab free investment policy, excluding companies and land deals that cannot meet this standard; and proactively investing only in companies and projects committed to demonstrably repairing the harm that has been done. The International Finance Corporation is changing the way it does business — to the detriment of people and the environment. For years, the World Bank’s private-sector arm provided loans almost exclusively to companies and projects. Now, the IFC is outsourcing the bulk of its development work to for-profit financial institutions, including commercial banks, private equity funds and insurance firms. These financial intermediaries then invested the money as they saw fit, with little apparent oversight. The IFC has refused to disclose where most of these funds end up, so Inclusive Development International is following the money to answer this question: How does it impact people on the ground? The investigation tackled only a small portion of the IFC’s extensive financial-sector portfolio. Yet the results were shocking. The IFC is funneling billions of dollars into some of most notorious companies and projects in the world. The problem is systemic, and not limited to just a few cases. Inclusive Development International, in collaboration with Bank Information Center, Accountability Counsel, Urgewald, and 11.11.11 , are detailing our research findings in a four-part investigative report, Outsourcing Development: Lifting the Veil on the World Bank Group’s Lending through Financial Intermediaries. Part 1 of the Outsourcing Development investigation examines the contribution of IFC intermediaries to climate change and the destruction of forests. The report, “Disaster for Us and the Planet”: How the IFC is Funding a Coal Boom, reveals how IFC financial-sector clients have funded dozens of new coal projects since the World Bank announced its moratorium on new coal funding. 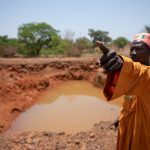 The report highlights the human toll that these projects are having on local communities, in addition to their contribution to global climate change. The second part of the Outsourcing Development series looks at the impacts of IFC financial intermediary lending in India. The report, Bankrolling India’s Dirty Dozen, examines the environmental and social practices of 12 of India’s largest and most reckless companies, which have received considerable financing from IFC intermediaries. Altogether IDI identified 68 projects or companies financed by six commercial bank clients of IFC whose practices appear to fall well short of its Performance Standards, and in some cases entail extremely serious violations. Part 3 of Outsourcing Development follows the IFC money trail into the blackhole of intermediated lending in Southeast Asia. The report reveals how IFC intermediaries have funded some of the region’s most destructive projects, contravening the Performance Standards, the institution’s social and environmental guidelines. These projects include mega-hydropower dams in Vietnam and Cambodia, dirty coal-fired power plants and mines in the Philippines, Vietnam and Myanmar, and massive agro-industrial land grabs in Cambodia and Laos. Part 4 of Outsourcing Development exposes how the IFC has enabled and profited from land grabbing on the African continent through financial intermediary investments. IDI’s investigation found 11 projects backed by IFC intermediaries that have transferred approximately 700,000 hectares of land to foreign investors. The projects include agribusiness concessions in the Gambella region of Ethiopia that were cleared of their indigenous inhabitants during a massive forcible population transfer campaign in the area; oil palm plantations in Gabon that have destroyed 19,000 hectares of rainforest and infringed on the customary land rights of local communities; and a gold mine in Guinea that led to the violent forced eviction of 380 families. Over the past six years, the International Finance Corporation has channelled over $50bn to the financial sector, and its long-term investments in financial intermediaries such as commercial banks and private equity funds have dramatically risen by 45 percent over that same period. However, the evidence continues to grow that this private sector arm of the World Bank Group has little control over how a great deal of this money is spent. This lack of accountability is having devastating impacts on many poor communities. The IFC must start taking more responsibility for these outcomes and ensure that its investments are benefitting, rather than harming people and the environment. This briefing paper challenges five arguments that the IFC has put forward to justify limiting its responsibility for the environmental and social risks and impacts of these investments, and it presents eight recommendations that we believe will help the IFC move toward a more meaningful and constructive role in improving environmental, social, and human rights accountability in the financial sector. This publication takes stock of these institutions and initiatives, how they will potentially impact on local communities and the environment, and what environmental and social standards and governance systems they have adopted. It also discusses strategies that watchdog groups can deploy to respond to these developments and influence the policies, projects and operations of Chinese-led finance institutions. The Demise of Accountability at the World Bank? This article by IDI Legal Director Dr. Natalie Bugalski examines recent trends in the accountability system at the World Bank, including the new Environmental and Social Framework and developments at the Inspection Panel, through the lens of involuntary resettlement. The article explores the trend away from clear policy entitlements and protections for project-affected people towards negotiated risk management and redress in the case of harms, and analyzes what it means in practice for the protection of human rights in cases of displacement. The analysis of the ESF is done through a ‘road-testing’ of the framework on a hypothetical hydropower project, while the Inspection Panel section delves deeply into the ‘Early Solutions’ pilot in Lagos, Nigeria. The article was published in the American University International Law Review (Volume 31, Issue 1) in August 2016. In early 2014, the World Bank Inspection Panel added a new tool to its operating procedures known as the “Early Solutions approach.” Through this process, the Panel plays a passive problem-solving role, giving the World Bank and project affected people additional time to resolve grievances before the Panel decides whether or not to register the Request for Inspection. The Early Solutions approach was first piloted in a case in Lagos, Nigeria in which some 9000 people were forcibly evicted from the Badia East urban poor settlement. This report by IDI and the Centre for Research and Multinational Corporations (SOMO) evaluates the fairness of the process used in Lagos and whether the outcomes were in the best interests of affected people and consistent with World Bank safeguard policies. The report makes recommendations for improving institutional accountability whilst ensuring the provision of effective remedies to people harmed by World Bank-financed projects. This ground-breaking report authored by IDI and 10 partners documents the obstacles that communities and workers must overcome in order to seek recourse from development finance institutions. The report shows data from 758 complaints since 1994 and assesses the extent to which these institutions and their accountability offices are equipped to meaningfully address these complaints. It finds that, even though complainants are better off than they would be in the absence of any complaint procedure, the outcome rarely provides adequate remedy for the harm that people have experienced. It sets forth a range of specific recommendations for improvement so that project-affected people receive the respect and remedy that they deserve. Increasingly, development money is being channelled through third parties such as banks or private equity funds. The world’s leading proponent of this financing model, the International Finance Corporation, spent $36bn this way in just the four years leading up to June 2013. But what does this ‘hands-off’ form of development financing mean for people? Are the risks to communities and their livelihoods just too high given the weaker social and environmental protections entailed? This report by Oxfam, IDI and ten other NGOs tells the human story behind the high finance and statistics, and asks whether reforms to this model of lending have gone far enough to protect communities. World Bank projects have significant impacts on human rights. The Bank narrative cites ways in which Bank projects contribute to the realization of human rights such as, “access to health, education, food and water, promoting the participation of indigenous peoples in decision-making and the accountability of governments to their citizens, supporting justice reforms, fighting corruption and increasing transparency of governments.” However, the accounts of civil society and communities affected by IDA projects tell a different story. Many Bank projects have clear winners and losers—and all too often the poorest and most vulnerable end up on the losing side. This IDI and Bank Information Center (BIC) publication outlines several cases where the World Bank has used IDA funds in ways that threaten the human rights of the most vulnerable people in the world’s poorest countries. The cases, in Africa, Asia and Central Europe, show how loopholes, gaps and deficiencies in the current suite of safeguard policies can lead to impoverishment and serious violations of human rights when, for example, people are displaced, children are forced to work and people with disabilities or indigenous communities are not meaningfully consulted. The cases also show how gaps in the safeguards can lead to environmental damage including unnecessary contribution to climate change. The European Union’s Everything But Arms (EBA) scheme provides preferential access to the European market for all products except arms and ammunitions from all countries classified by the United Nations as ‘least developed’. While EBA is intended to benefit the poor through job creation from export-led growth, the case of Cambodia’s rapidly expanding sugar industry tells a different story. In September 2013, IDI and Equitable Cambodia published Bittersweet Harvest, a human rights impact assessment of the EBA initiative and the sugar industry it has spawned in Cambodia. Bittersweet Harvest is based on interviews with over 275 people, including local officials, human rights workers, community leaders and small holder farmers from Koh Kong, Kampong Speu and Oddar Meanchey provinces who have been impacted by EBA-driven industrial sugar development. 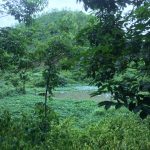 The assessment finds that, in the absence of effective human rights safeguards, Cambodia’s policy of granting large-scale land concessions to private investors for agro-industrial development and the EU’s policy of granting preferential tariffs to spur such investment in least developed countries both carry risks of devastating human rights impacts. 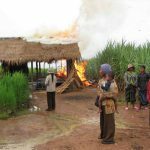 These risks have materialized in forced evictions and land seizures that have been part and parcel of the development of Cambodia’s sugar industry. As a result, affected people suffered a severe rollback in their enjoyment of basic human rights, including the rights to adequate food, water and housing, as well as the right to work, the right to education and the right to health. In 2012, IDI Legal Director Natalie Bugalski authored a Discussion Paper on a Human Rights Approach to Development of Cambodia’s Land Sector for Bridges Across Borders Cambodia and the Heinrich Boll Foundation. The paper offers a rationale for adopting a human rights approach to development and recommends a ten-pronged framework for adopting the approach in the land sector. The framework aims to shift power to Cambodia’s citizens and increase accountability of decision-makers and power-holders, through processes and tools that elevate support to marginalized and vulnerable groups, access to information, transparency about decision-making, and accountability including the redress of harms. It also promotes methods for designing and implementing smarter strategies for development partner interventions to contribute to positive human rights change. 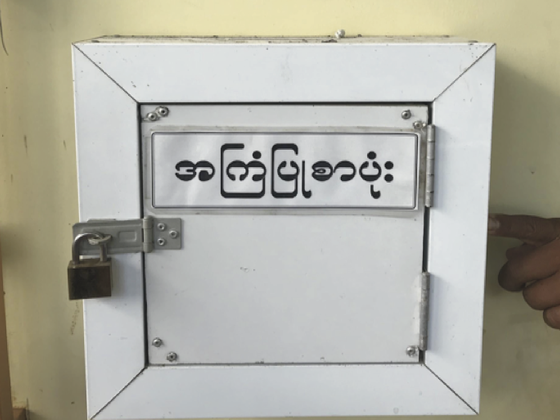 In 2012, IDI Legal Director Natalie Bugalski co-authored a report for Bridges Across Borders Cambodia that reviews the resettlement process and impacts of the ADB and AusAID-financed Rehabilitation of the Cambodian Railway Project. The report, DERAILED, describes the policy and international human rights law obligations meant to protect the rights of the 4000 resettled families and provides evidence of how these obligations are being flouted in practice. The principal findings of the report are that resettled families have faced threats and intimidation during the process precluding the possibility of meaningful consultation; compensation amounts have been well below the cost of building a minimally adequate house in Cambodia; resettlement sites have been too far away from sources of livelihood and have not been properly prepared with basic services and facilities, including water and schools; household income levels have fallen upon resettlement and the resulting unmanageable debt burdens have created a risk of impoverishment, homelessness and landlessness. The report contains an extensive list of recommendations to the Cambodian government, the ADB and the Australian government. In 2011, IDI Legal Director Natalie Bugalski coordinated and authored a publication for Amnesty International called Evictions and Resistance in Cambodia: Five women tell their stories. Through poignant and beautiful photos by Todd Brown and words by Natalie, the publication traces the lives of five Cambodian women, Hong, Mai, Sophal, Heap and Vanny who have faced or continue to resist forced eviction from their homes and land. Forced evictions frequently lead to the breakdown of community networks and informal support systems relied upon by women in their daily lives. They often mean disruption of children’s education, diminished access to health services and a deterioration of the family’s mental and physical well-being. Because many victims of forced eviction are resettled in areas far from urban centers and work opportunities, husbands spend long stretches of time away from their families, leaving their wives to cope alone with daily household chores and family needs. Nonetheless these women have developed coping strategies for themselves and as the primary caregivers for their family. The women whose stories are told have faced forced eviction, or continue to resist eviction and removal from their land, with a mix of fear and bravery, anger and calm resolve. In 2010, IDI Legal Director Natalie Bugalski authored a background paper for the Special Rapporteur on adequate housing as a component of the right to an adequate standard of living, Raquel Rolnick for her report to the Human Rights Council’s sixteenth session on post-disaster and post-conflict situations. Five experts were commissioned to provide background papers on various post-disaster and post-conflict contexts. Natalie was asked to provide a paper on Post-conflict Housing Reconstruction and the Right to Adequate Housing in Timor-Leste. In 2006, just four years after Timor-Leste became an independent nation, civil strife broke out in the streets of its capital, Dili, and spread to the districts, leading to the displacement of some ten to fifteen percent of the population. This paper explores this episode of conflict, known as “the crisis”, and seeks to distil lessons about the way in which housing and land rights violations – and the failure to address them– feed into cycles of displacement, dispossession and conflict. An analysis of the causes and housing rights implications of the conflict elucidates the repercussions of weak and incomplete responses to earlier conflict and displacement. An examination of the response to the 2006/7 conflict offers insights into the extent to which key actors took into account lessons learnt from previous experience and designed and implemented a program that both addressed immediate housing rights concerns and aimed to prevent a recurrence of violence, destruction and displacement. an enormous profit. The chapter movingly describes the traumatic experience of forced eviction of Dey Krahorm residents that took place in January 2009. In 2010, IDI Directors David Pred and Natalie Bugalski co-authored a chapter in a Land Research Action Network publication on Land Struggles, called Formalizing Inequality. The chapter examines Cambodia’s multi-donor supported land-titling program and looks at why, despite its goal of reducing poverty by improving land tenure security, it has failed to protect the legal rights of many of those most vulnerable to forced displacement. It explores the case of Boeung Kak Lake and the denial of residents’ rights when they were excluded from the land adjudication process and made subject to forced eviction as the lake was filled by a private developer. The chapter also describes the community’s action to bring a case to the World Bank Inspection Panel and demand accountability.